Each of us is looking for a great deal when passing into the shiny halls of a car dealership. But getting a car that is a great value extends past the price you pay at the showroom. You should think about the quality of the car, how much you’ll pay, and how much it costs to operate the vehicle in the long run. Helping you to concentrate on your choice to gain a new car, we introduce you the list of the most Sold SUV Cars in US 2017, that we prepare for you. 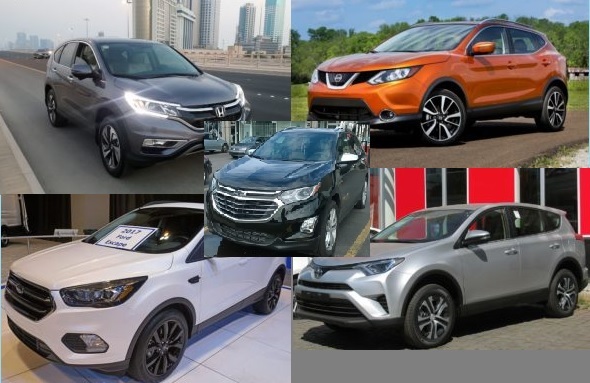 We chose top 5 the best SUV cars in accordance with statistics. 1. The first SUV car we would like to touch upon is Honda CR-V. The Honda CR-V is a compact crossover SUV (sport utility vehicle) produced by Honda since 1996. It made its debut in the North America in 1997. The CR-V is Honda’s mid-range utility vehicle, slotting between the smaller HR-V and the larger Pilot. 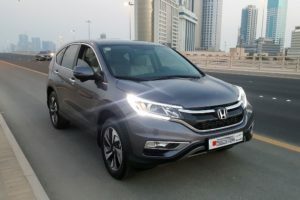 Honda indicates “CR-V” stands for “Comfortable Runabout Vehicle” while the term “Compact Recreational Vehicle” is used in a British car review article that was republished by Honda. In 2017 it sold 29,287 SUV cars. But in 2016 it is sold 19,208 cars. So the differences between them are visible. Layout-Transversely mounted, front engine, front-wheel drive / all-wheel drive. 2. 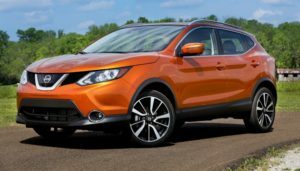 The Second SUV car that we would like to bring your attention is Nissan Rogue. The Nissan Rogue is a compact crossover SUV produced by the Japanese automaker Nissan. It started up in October 2007 for the 2008 model year. The present model, the second generation launched in 2013, is the United States of America and Canada version of the Nissan X-Trail. Nowadays it is Nissan’s best-selling vehicle in the United States. In 2017 Nissan sold 28,760 SUV cars, which is almost as the same statistics as Honda CR-V. The differences between them are invisible. 3. The next SUV car is Toyota RAV4. The Toyota RAV4 is produced by the Japanese automobile manufacturer Toyota. This was the first compact crossover SUV, and it made its debut in Japan and Europe in 1994, and in North America in 1995. Not all RAV4s are four-wheel-drive, RAV4 stands for “Recreational Activity Vehicle: 4-wheel drive”, because the aforementioned equipment is an option in select countries. In most markets, the RAV4 is the only compact SUV or crossover available from Toyota. In other markets, it is the crossover counterpart of the Toyota FJ Cruiser. 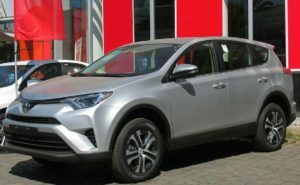 Toyota sold 22,155 SUV cars in 2017, and there is no much differences as in 2016 (21,554). 4. The next SUV car we’d like to dwell upon is Ford Escape. The Ford Escape is a compact crossover vehicle sold by Ford since 2000 over three generations. Ford released the original model in 2000 for the 2001 model year. The first iteration Escape remains notable as the first SUV to offer a hybrid drivetrain option, released in 2004 for the 2005 model year to North American markets only. 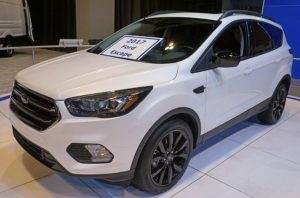 In 2017 Ford sold 20,588 Ford Escape SUV cars. 5. The list of Compact Crossover SUV Cars close Chevrolet Equinox. 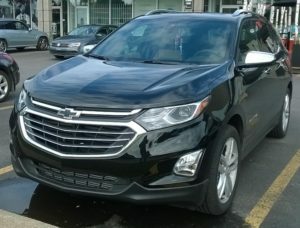 The Chevrolet Equinox is a mid-size or compact crossover SUV from Chevrolet based on General Motors’s Theta unibody platform. The Chevrolet Equinox was introduced in 2004 for the 2005 model year. Originally, the Equinox was shown at the 2003 Detroit Auto Show. It is Sold 17,574 SUV cars in 2017. Layout-Transverse front-engine, front-wheel drive / all-wheel drive.